special jettset exclusive Listing "The Von Dutch Bus"
If you're looking for the ULTIMATE collectors item in American hot rod history, here it is. 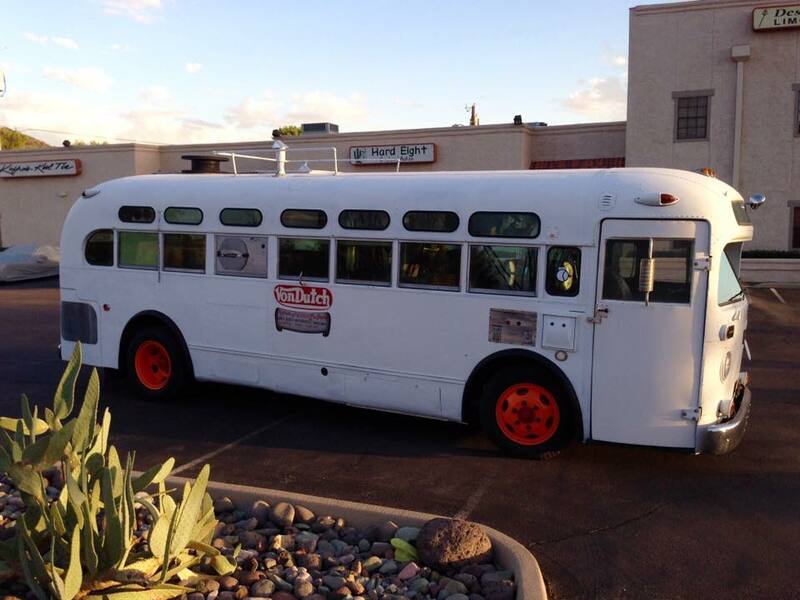 The one and only, restored, "Von Dutch Bus". Jettsest Luxury Brokers, LLC is the pinnacle of negotiation. We have built loyal and trusted relationships with many of our clients through our years of involvement in the competitive racing and outdoor recreation circles. These strong relationships have allowed us to develop a network of buyers and sellers who place their trust in us to negotiate on their behalf. We list quality items, bring the right items to the right buyers, and negotiate a fair deal for both parties. We are home grown in the state of Arizona, but we list items nationwide. Our clients come to us because they value their privacy and personal security when selling their items. We are able to securely store, market and show the items we have listed, from secure locations with 24 hour surveillance. This enables our clients to have the peace of mind that they desire, knowing that their items are securely stored, their privacy is being protected and the negotiation with potential buyers is being handled professionally with their best interest in mind. We utilize several advertising platforms across social media, forums, multiple ad sites and of course through our well built personal network of clients. We are happy to answer any questions you might have and always look forward to building relationships with new clients.